The United Architects of the Philippines is the Integrated and Accredited Professional Organization of Architects (IAPOA) in the Philippines with more than 42,000 members. The United Architects of the Philippines (UAP) was born on December 12, 1974 out of the noble vision of unifying the three (3) existing architectural associations at that time - the Philippines Institute of Architects (PIA), the League of Philippine Architects (LPA) and the Association of Philippine Government Architects (APGA). Through the concerted efforts of the officers and members of the three organizations, the vision officially materialized on March 26, 1975, where the UAP was registered with the Philippines’ Securities and Exchange Commission (SEC). On May 12, 1975, the UAP was granted Certificate No. 001, the first professional organization to be accredited by the Professional Regulation Commission (PRC). The PRC is the central agency of the Philippine Government charged with the licensing and regulation of professionals and the professions, as well as the Accredited Professional Organizations (APOs). 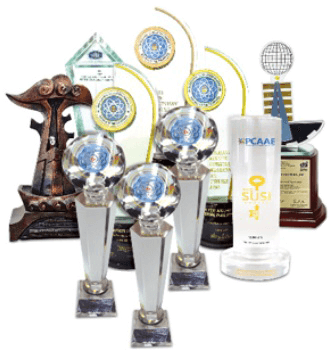 Since its registration, UAP has received many awards, including the highly-acclaimed PRC’s Most Outstanding Accredited Professional-Organization. To date, it is still the first and only APO to win the award seven times in the Award’s twenty four-year history. These were in years 2002, 2007 and 2008 2011, 2014, 2017 and 2018. The award is presented annually to recognize the achievements, services and commitments of the APO to the profession. For its volunteer works, UAP was chosen in addressing housing problems, urban degradation, environmental conservation and promotion of volunteerism for socio-economic development; the UAP was a Regional Nominee to the “Search for Outstanding Volunteers” by the Philippine National Service Coordinating Agency (PNVSCA) in its celebration of National Volunteer Month last December 2005. PNVSCA takes the lead in advocating and recognizing the contributions of volunteers to nation-building and international cooperation. In April 2010, in celebration of the Earth Day, the UAP, through its advocacy group “Green Architecture Movement”, was awarded the 2009 Father Neri Satur Award for Environmental Heroism - the only accredited professional organization in the Philippines to receive such a prestigious environmental award. Last November 2010, the UAP has been bestowed the EAROPH 50th Golden Jubilee Award in recognition of its substantial contribution to the advancement of Planning, Development and Management of Human Settlements in the Philippines. The Award was given in celebration of EAROPH's 50th Anniversary and the 2010 Congress in Adelaine, Australia. The UAP has a roster of membership numbering more than 44,000 or 100% of the total registered architects at the Professional Regulation Commission (PRC). This number is expected to increase with the advent of the automatic membership clause under RA 9266 and the registration of new board passers of the recent PRC licensure examinations. The UAP encourages all of its members to engage in providing pro bono services as part of their contributions to the highest aspirations of the architecture profession and the organization in service to society. Through participation in whatever format they may choose, every member of the UAP can support and further the values of the organization in terms of its advocacy for sustainable design and practices, diversity, and elevation of the stature of the profession of architecture in the eyes of the public.